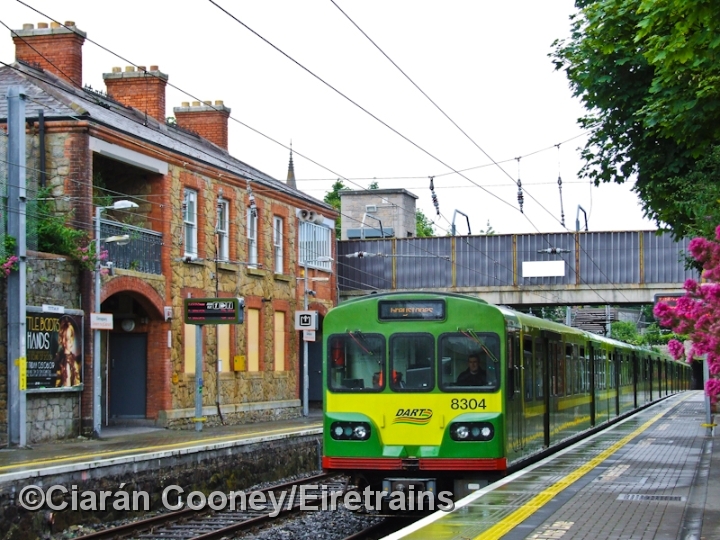 Glenageary, in one of the quieter of Dublin City's southern suburbs, which acquired its own station in 1867 on what is now the Dublin to Rosslare line. 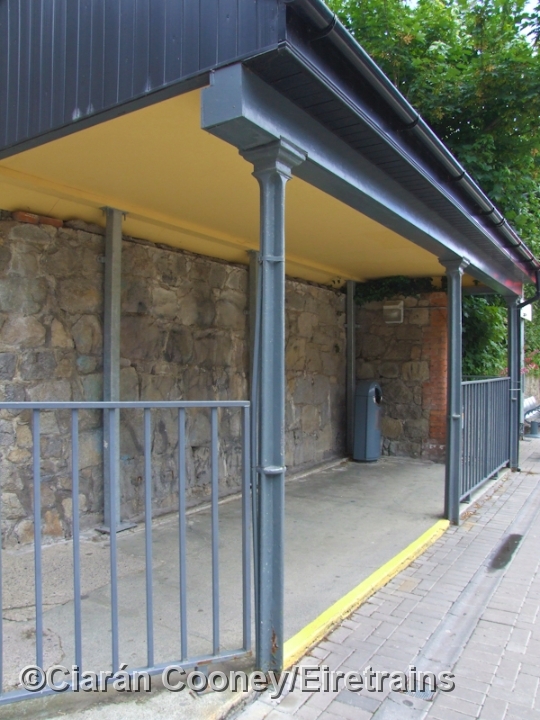 The section of railway through Glenageary was originally built on a former horse operated tramway used to bring stone from Dalkey Quarry to the harbour at Dun Laoghaire. 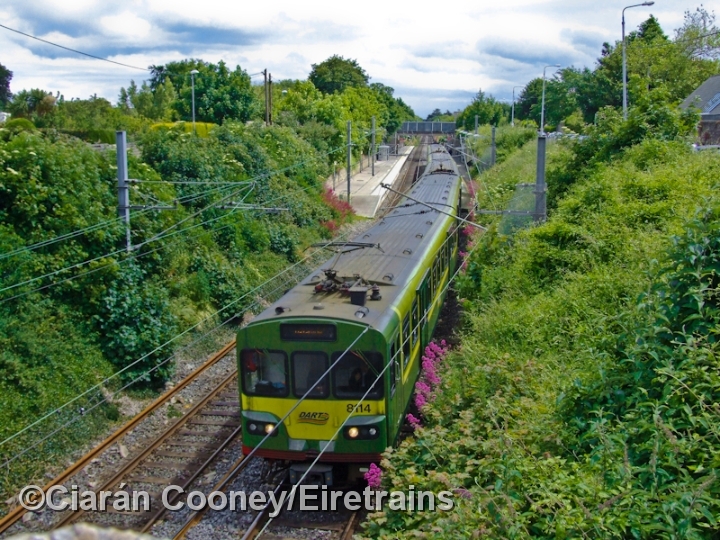 In 1844 the tramway route was converted to the revolutionary Atmospheric Railway, but this lasted only 10 years, with the Dublin & Wicklow Railway converting the line to conventional railway use to Dalkey. 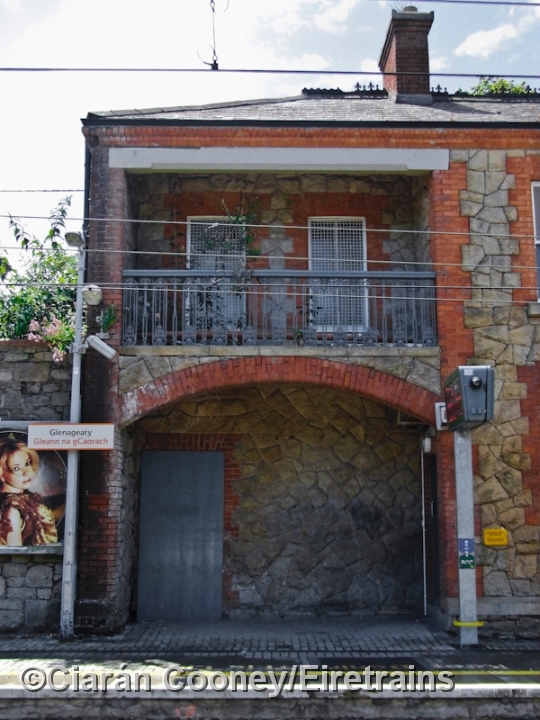 The station at Glenageary is one of the most interesting on the DART line, with its main two storey building built of stone and brick, featuring two arches and a balcony, located on the up platform. 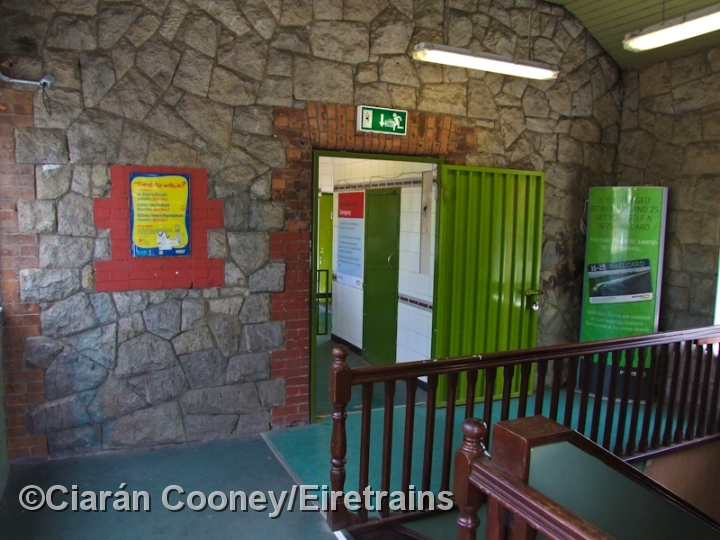 The down platform at Glenageary also retains its D&WR built waiting shelter, complete with original cast iron supports. 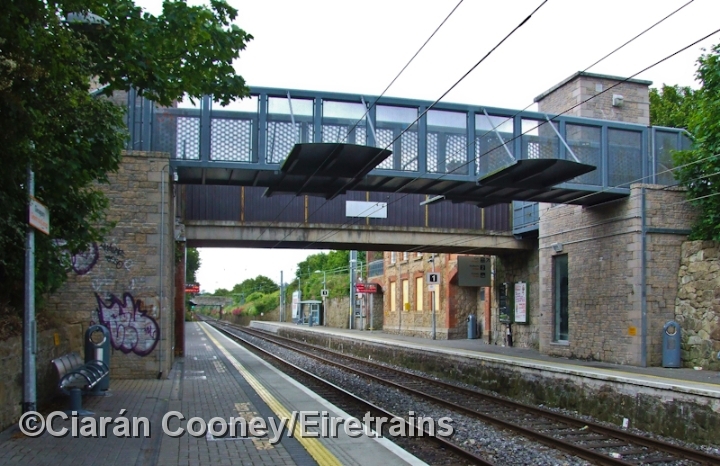 The original footbridge was replaced by a concrete type in the early 1980s for the DART electrification, but more recently an entirely new footbridge was also built which features lift shafts, Unusually Glenageary never had a signal cabin, the nearest ones been located at Dalkey and Sandycove. 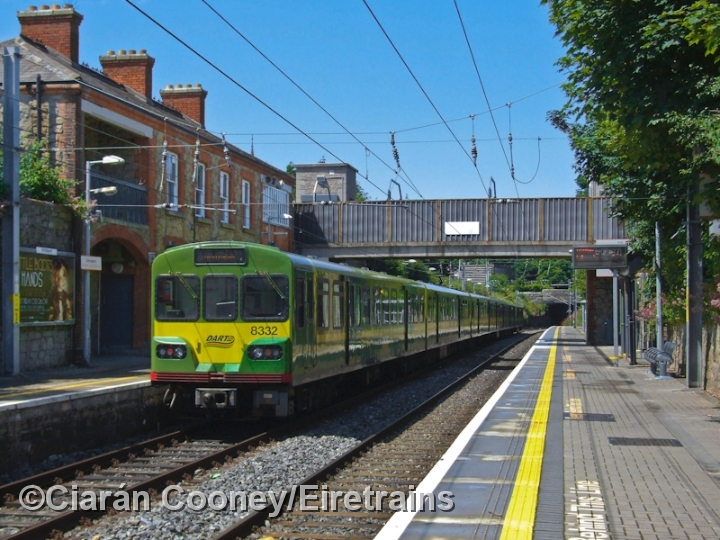 1 In glorious summer sunshine, 29000 Class railcar No.29424 heads the 13:05 Dublin to Rosslare service through the attractive Glenageary Station in south Dublin. These trains are now handled by the newer 22000 Class railcars. 2 During a brief shower of rain, 8100 Class DART No.8304, originally dating from 1983, arrives with a southbound service to Greystones. 3 Another bright sunny scene at the south end of Glenageary Station, as another 8500 DART No.8623, heads a service to Bray. 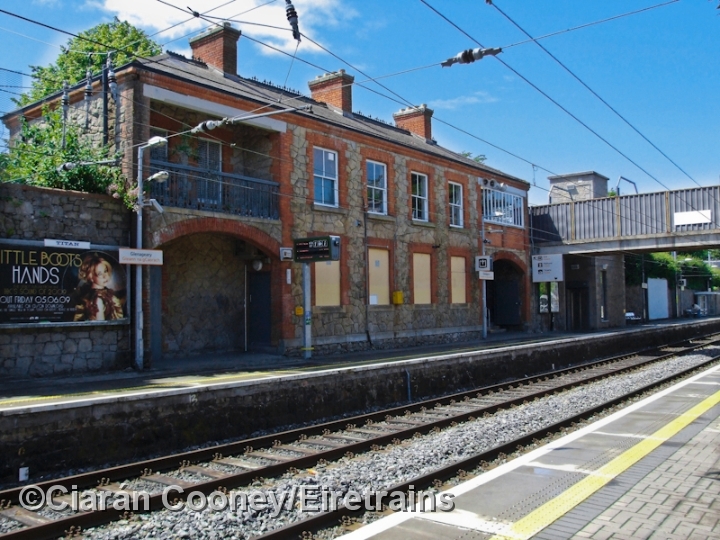 The corrugated sheeted footbridge takes away some of the charm from this Dublin & Wicklow Railway station. 4 Viewed from the end of the down platform at Glenageary, 8332 is seen on the rear of this 6-car 8100 set at Glenageary Station. To the left is the large two storey station building, dating from 1867. 5 This is the shallow cutting located at the south end of Glenageary. 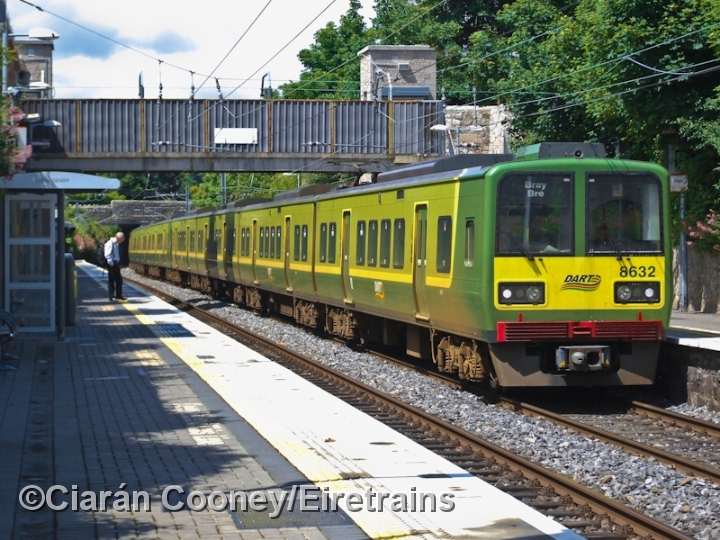 Another 8100 DART, minus its logo, No.8133 approaches Glenageary Station from Bray. 6 8100 Class DART No.8114 heads away from Glenageary Station with a northbound service to Malahide, as viewed from the nearby road overbridge. 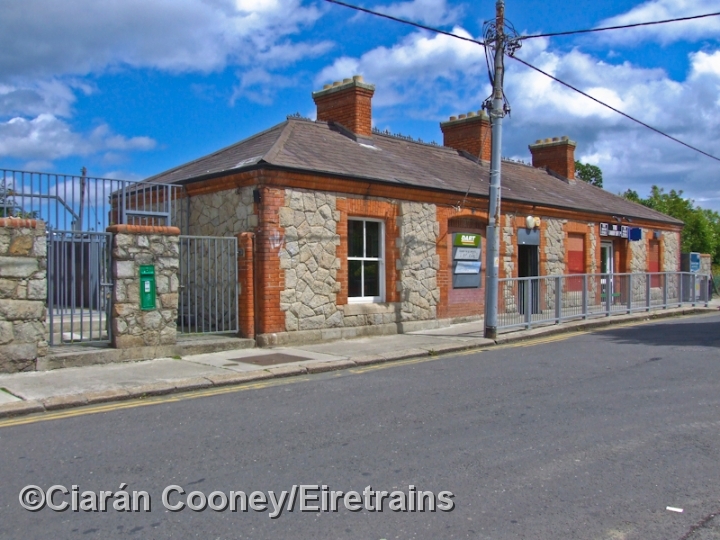 7 The rather grand looking station building on the up platform at Glenageary, built in 1867 by the Dublin & Wicklow Railway. The ground floor with the boarded up windows was the General Waiting Room. 8 Close up of the brick arch balcony, complete with ornate railings, at the southern end of Glenageary Station. This section of the building houses the rear of the booking office and former newsagent. 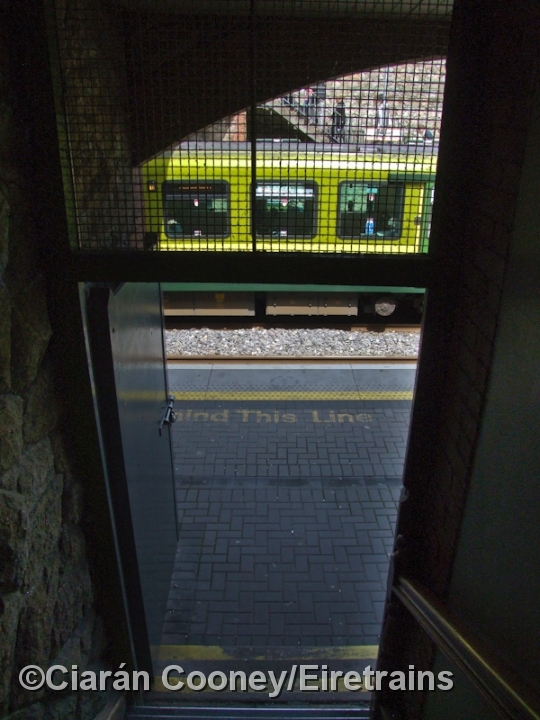 9 View down the stairs to the up platform at Glenageary Station. 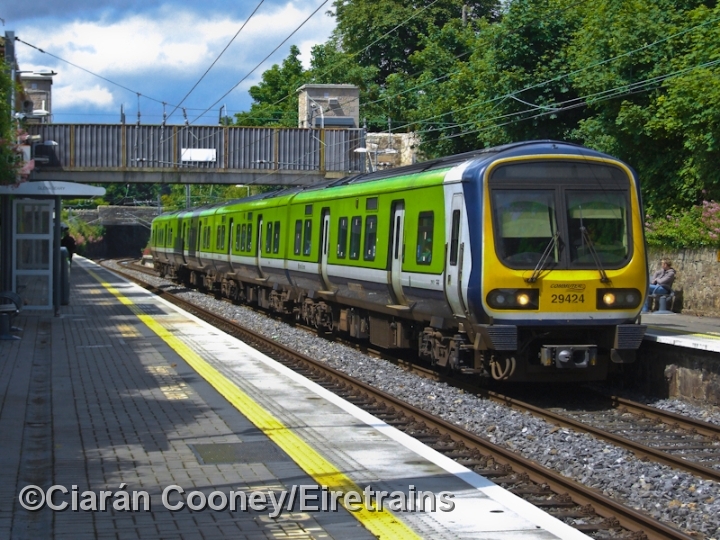 Very few station platforms on the DART system are accessed in such a way. 10 View inside Glenageary Statiion building, showing the interior, built mainly of sandstone. The booking office is usually closed after 11:30pm each night. Originally this part of the buillding was the signal cabin housing a 4/6-lever frame. 11 Viewed from 'Station Road' is the station building at Glenageary, built in 1867 by the D&WR. To the left is the gate access to the station. The bricked up doorway was originally the parcels office. 12 This is the modern footbridge at Glenageary Station, complete with lift shafts. The new footbridge is located alongside the original installed in the early 1980s. 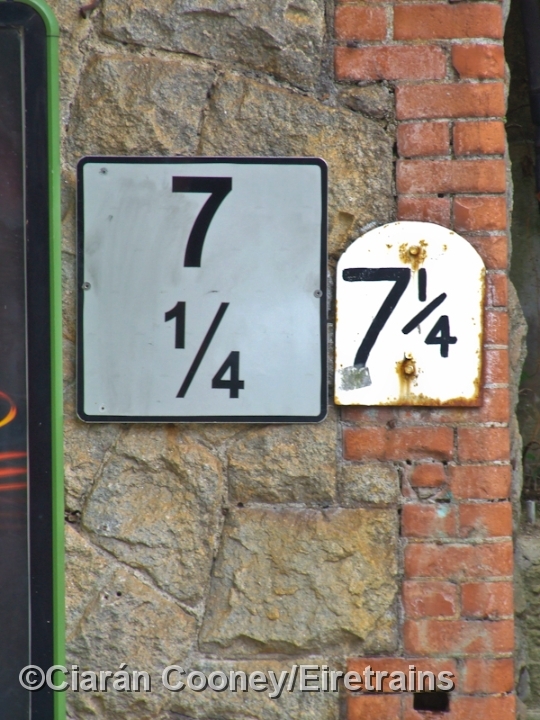 14 Two different styles of mile post signs at Glenageary Station, measured from Dublin Peare. 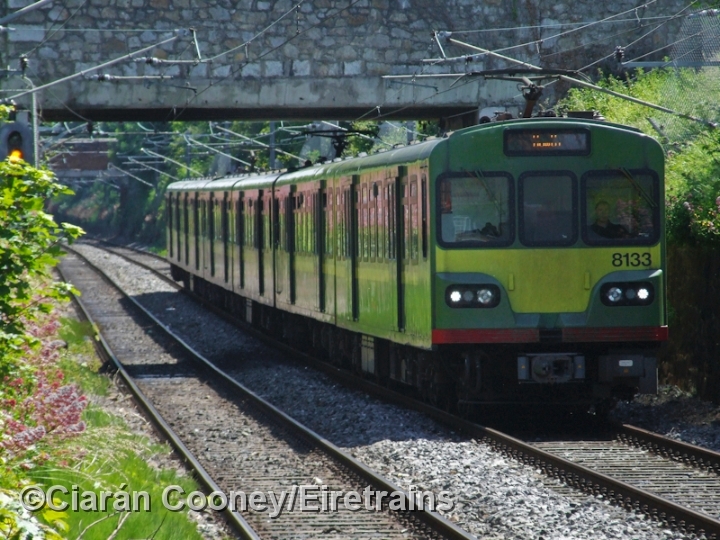 Left hand one is a modern Irish Rail type, while the right hand one is an ex Dublin & South Eastern type. 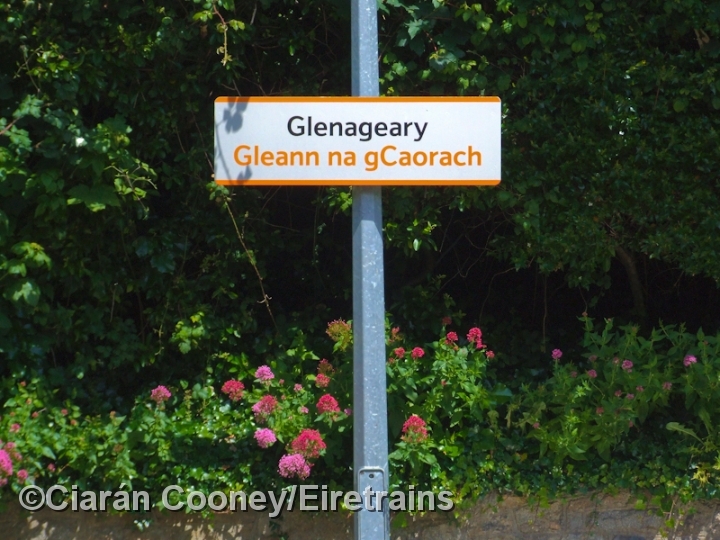 15 IE nameboard at Glenageary Station. Glenageary, originally derived from the Irish for 'Glen of the Sheep', but you would be hard pressed to find any sheep in this area of Dublin! 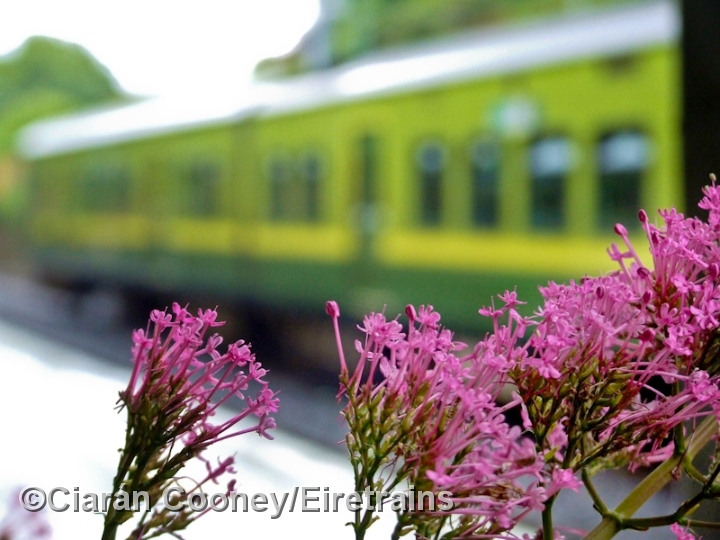 16 Valerian flowers, amongst others, line the walls of the colourful Glenageary Station.